Chemogenomics is a new interdisciplinary field sitting at the intersection of biological and chemical space which aims to systematically explore and charcaterize ligand–protein interactions. In recent years a range of large-scale bioactivity resources have become available that collectively offer a global view of pharmacological space. 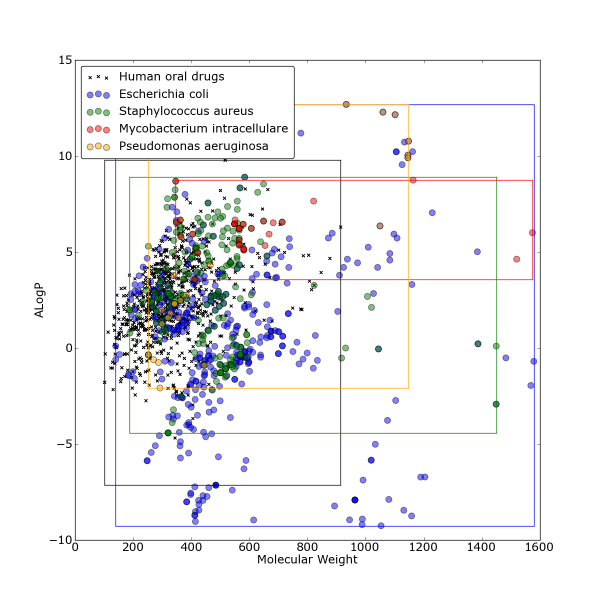 Our research integrates a range of chemoinformatics and bioinformatics techniques to help address issues of target prioritization, druggability, selectivity, navigation of chemical space and evolutionary drug design. To achieve this we use a range of molecular informatics approaches but our core technologies include machine learning, structural bioinformatics, development and interrogation of relational databases, scientific programming (Python and Perl), information visualization and data piplining Accelrys’ Pipeline Pilot. aeruginosa (Aeropath Target Database) and the genomes of the causative agents of several important tropical diseases including African trypanosomiasis (sleeping sickness), Chagas disease and Leishmaniasis (Kinetoplastid Target Database). Our mission is to develop chemogenomics systems that enable the rapid analysis of pharmacology for any genome.